7th June 2015 – a date for your diary! It doesn’t seem all that long since the last Open Gardens day in Alhampton – particularly, no doubt, to the hard working people allowing us to invade their privacy – but here we are again! Gert Schley and Charles Dowding are opening again, but to ring the changes and spread the load, the others are all different from last year. 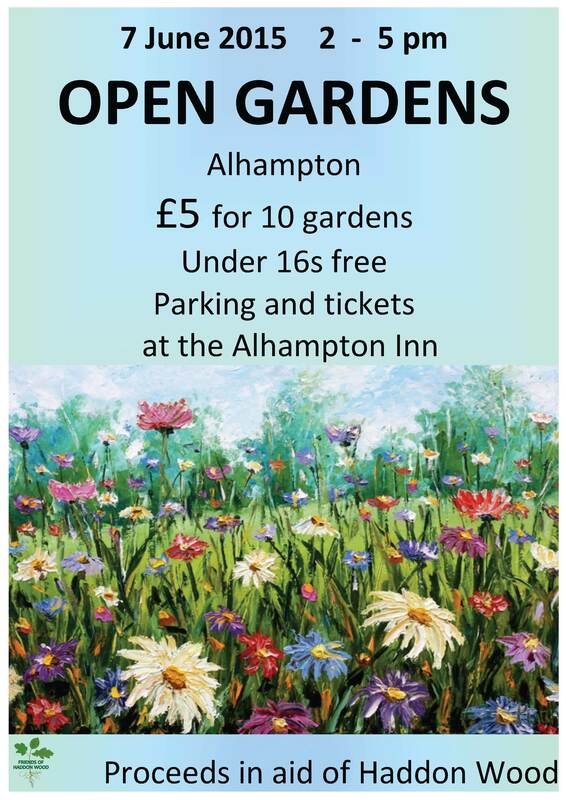 With parking and tickets at The Alhampton Innn, by kind permission of the landlords (sat nav – BA4 6PY), we have 10 gardens to see for only £5, plus our ever popular teas. What better way to spend a Sunday afternoon?